3. We can arrange air shipping if you are requesting for it. After-sale Service Warranty We guarantee our quality on all of our items. We accept small trial order with customized design to go ahead for the first cooperation order. Nantong Zhongfa Display Equipment Co., Ltd.
Creative Era Advertising Co., Ltd.
Record and freeze all your wonderful & memorable moment on this acrylic frame forever. Also it is the perfect gift to your parent, friends and lover for Thanksgiving,Christmas and New year. GOOD PACKAGE We can make sure the frame arrives safely, without scratches and without any other damage. This sidewalk stand features a durable, brushed aluminum construction that is perfect for indoor and outdoor use. 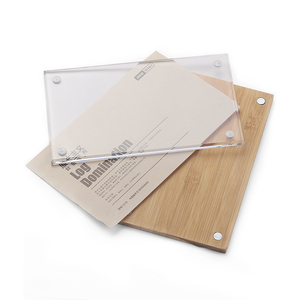 Snap open frames allow for quick poster changes, while a lightweight design ensures easy transporting. 2. Widely use in shops, supermarkets, restaurants, hotels, KTV and so on, easy to take and move. Hangzhou Sailing Display Co., Ltd.
Punching machine, NC carving machine, steel plate shearer, blending machine, driller and other kinds of welding equipments provide a reliable condition for the quality of our products. Payment&Delivery 1.Are you the factory or trade company9 Re: We are a professional supplier offering a serizes of display products for many years. 2.Are the quality of the products reliable9 Re:With totally new equipment and experienced staff, we promise you the quality of products. 5. Good reputation, establish long-term trade relationship with customers. ,ltd is a modern factory whose manufacturing acrylic products for over 10 years. Last year, we launched a new production line which is making wooden products. Shenzhen Artworld Display Product Co., Ltd.
Clear Acrylic Logo Block Sign Holder Vertical Horizontal Block Photo Frame Logo Display Block With Magnets 3"x8"
Tags: Clear Acrylic Logo Block Sign Holder With Magnets 3"x8" | Clear Lucite Vertical Horizontal Silver Corner Magnets Logo Block Photo Frame | Clear Plexiglass Acrylic Magnets Logo Display Block 3"x8"
Chalk A-Board Pavement Sign 1.Walking sign board is a double-sided A-board that offers a convenient way to display prints and posters. Please do not hesitate to contact with me,we can give you a surpising price,of course,together with best quality. 1. Why us9 We are a rapidly growing company, in order to expand our market share, we definiately will offer you our best price and best quality. 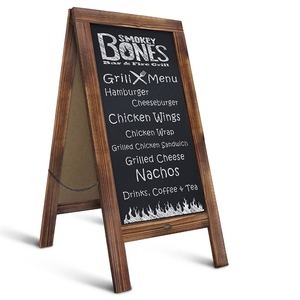 Alibaba.com offers 433 magnet sign frame products. About 23% of these are frame, 1% are advertising boards, and 1% are aluminum profiles. 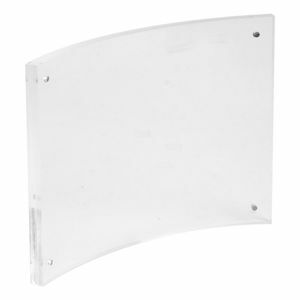 A wide variety of magnet sign frame options are available to you, such as metal, plastic, and crystal. You can also choose from free samples, paid samples. There are 435 magnet sign frame suppliers, mainly located in Asia. The top supplying countries are China (Mainland), Hong Kong, and Malaysia, which supply 95%, 2%, and 1% of magnet sign frame respectively. 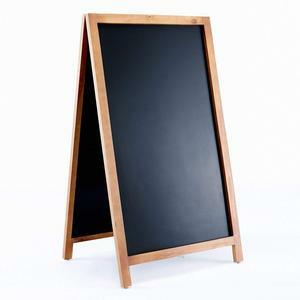 Magnet sign frame products are most popular in North America, Western Europe, and Domestic Market. You can ensure product safety by selecting from certified suppliers, including 49 with Other, 38 with ISO9001, and 10 with BSCI certification.